The Office of Sustainability Initiatives, in conjunction with Campus Services, has been keeping track of energy usage for most buildings on campus. Here are some of our buildings and how we stack up – know that we have much to be proud of. Congratulations for all your efforts on so many fronts over time that help lead the way for sustainability at Emory. Here’s to 2018 showing us even less usage. 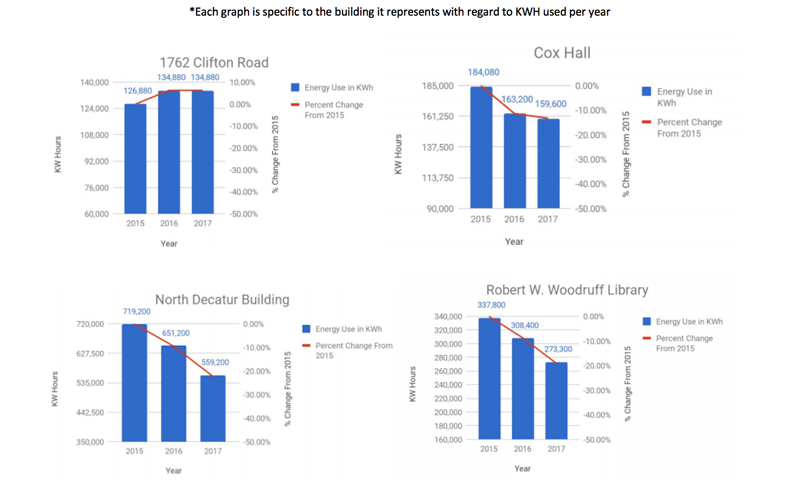 For other buildings: http://sustainability.emory.edu/wp-content/uploads/2018/10/Energy-Building-Use-2015-2017.pdf (1599’ers – I’ve asked about your building and OSI will get back to me).